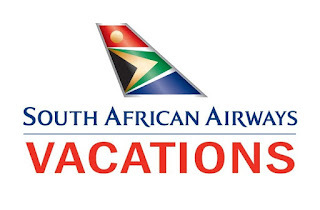 South African Airways Vacations® (SAA Vacations®) has expanded its portfolio of air-inclusive vacation packages with the introduction of new programs to Senegal and Ghana in West Africa. These multi-faceted packages are designed to immerse travelers in the history, culture and traditions of these African countries to provide an enriching travel experience. From short city-stays in Dakar, Senegal, and Accra, Ghana, to longer itineraries throughout each country, these packages offer an extensive choice of accommodations, activities and sightseeing tours. The city-stay packages to Dakar, Senegal, or Accra, Ghana, are offered from $1,799* (restrictions apply) per person and include round-trip Economy Class air transportation on South African Airways (SAA) from Washington Dulles International Airport, 2-nights hotel accommodations and airport transfers. Optional activities and sightseeing tours are available to the top historical and cultural sites in each city. Longer-stay packages with more extensive itineraries are offered in Senegal and Ghana, which include tours throughout the country to visit local wildlife sanctuaries and national parks. South African Airways offers the only nonstop service between Washington, DC and Dakar, Senegal, three-days per week and Accra, Ghana, four-days per week. Convenient connections are also available from over 50 cities in the U.S. & Canada through code share flights with United Airlines and JetBlue Airways, and interline partnerships with American Airlines and Virgin America. Onboard, SAA provides an inflight experience that offers world-class service, warm African hospitality and pure comfort for long-haul travel. SAA customers will enjoy fully-flat seats in Premium Business Class, industry-leading legroom in Economy Class, gourmet cuisine and a selection of complimentary spirits and award-winning wines, and generous checked baggage allowance. Also included are individual audio & visual entertainment systems that deliver an extensive menu of first-run movies and music programming. Beginning in June 2017, SAA will operate its new state-of-the–art Airbus A330-300 on daily flights from Washington, DC serving Dakar and Accra. In SAA’s seating configuration, the aircraft has the capacity for a total of 249 passengers, with 46 seats in Premium Business Class and 203 seats in Economy Class. With the launch of this new aircraft, SAA has introduced an upgraded Premium Business Class product that offers staggered seating in a 1-2-1 configuration, which provides every passenger the convenience of direct aisle access. SAA’s Economy Class customers will enjoy the spaciousness of the cabin with newly designed slim-line seats in a 2-4-2 configuration that offer spacious legroom, extra personal space and power ports at every seat. A division of South African Airways (SAA), South African Airways Vacations® (SAA Vacations®) is highly regarded for its wide array of affordable luxury packages to Africa and uses SAA’s extensive route network to create packages for travel throughout South Africa, Botswana, Victoria Falls, Namibia, Mozambique, Zambia, Zimbabwe, Kenya, Tanzania, Senegal, Ghana and the Indian Ocean Islands. Offering more than 80 air-inclusive packages, which range from value to superb luxury. Our specialty-themed programs offer unique experiences, whether you are interested in safaris, culture, cuisine, romance and adventure. The program is managed and fulfilled by Destination Southern Africa (DSA), which was founded in 2001 and offers an extensive portfolio of tour programs with a variety of hotels, game lodges and safari companies throughout Southern Africa. South African Airways (SAA), South Africa’s national flag carrier and the continent’s most awarded airline, serves over 75 destinations worldwide in partnership with SA Express, Airlink and its low-cost carrier Mango. In North America, SAA operates daily nonstop flights from New York-JFK and direct flights from Washington D.C.-IAD (via Accra, Ghana and Dakar, Senegal) to Johannesburg. SAA has partnerships with United Airlines, Air Canada and JetBlue Airways, American Airlines and Virgin America, which offer convenient connections from more than 100 cities in the U.S. and Canada to SAA’s flights. SAA is a Star Alliance member and the recipient of the Skytrax 4-Star rating for 15 consecutive years.